There aren’t many places that can offer an ‘effortless cool’, but Binnel Studios, now fully established at the former site of Isle of Wight Studio Glass, does just that. Head to St Lawrence next month and you’ll be in for a treat, as seven highly-accomplished artists – some world-renowned – open their studios to the public. 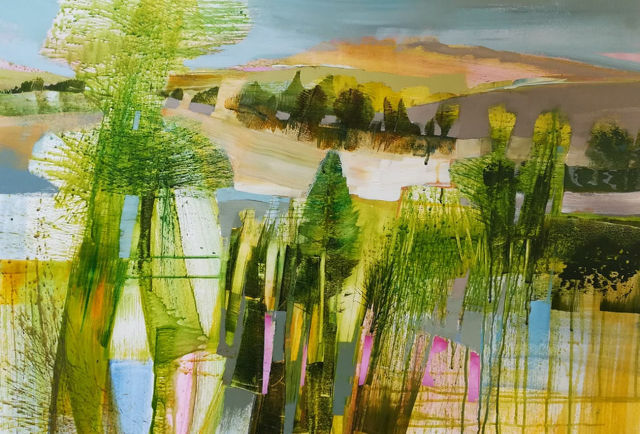 The fourth Binnel Studios Summer Exhibition takes place over the August bank holiday weekend (25-27 August 11am – 4pm each day). If you’ve been down to Binnel Studios before, this year’s event will be a great opportunity to see the work – one year on – by artists; Molly Atrill; Phil Capon; Matthew Chambers; Jane Cox; Amanda Wheeler; Celia Wilkinson, as well as the latest addition to the Studios, Petra Lunenburg. 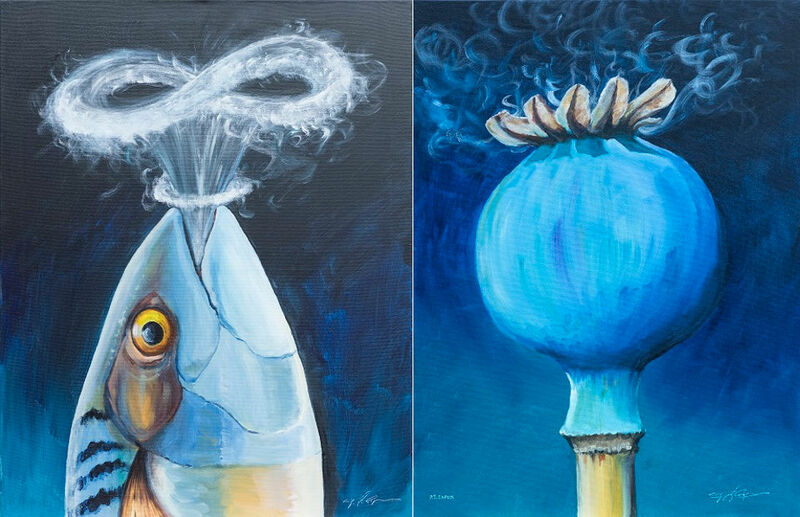 As you might expect when there are seven artists involved, a wide range of styles and mediums can be found, appealing to a variety of tastes. Molly Attrill’s pots are designed and made to give pleasure in everyday use at the table. A feature of her work is decoration formed from freehand observational sketches, executed in brushwork, wax resist or sgraffito. Phil Capon studied art at Portsmouth College of Art under such luminaries as David Hockney and Joseph Losey. After leaving, Phil took up a career as an Art Director for several leading London Advertising Agencies before eventually becoming a partner and Creative Director of his own agency. During his career as an Art Director, Phil won numerous awards for his work and commissioned many leading photographers, artists, and film directors such as Terry Donovan, Bob Carlos Clarke, Chloe Cheese and Hugh Hudson. He now works out of Binnel Studios. 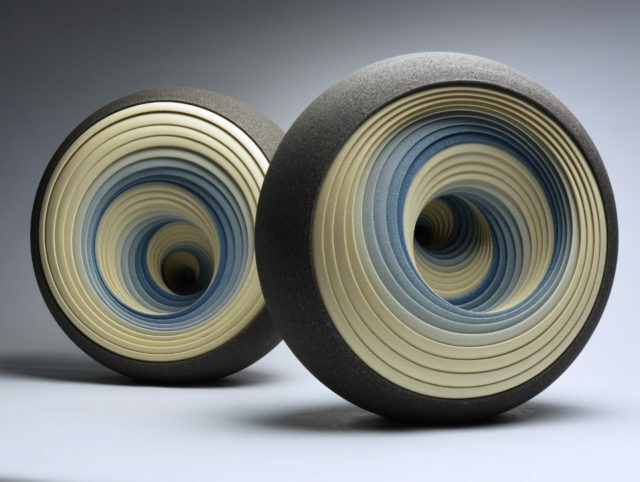 Award-winning ceramic sculptor, Matthew Chambers, has his work widely exhibited and is represented by galleries in the UK and internationally. 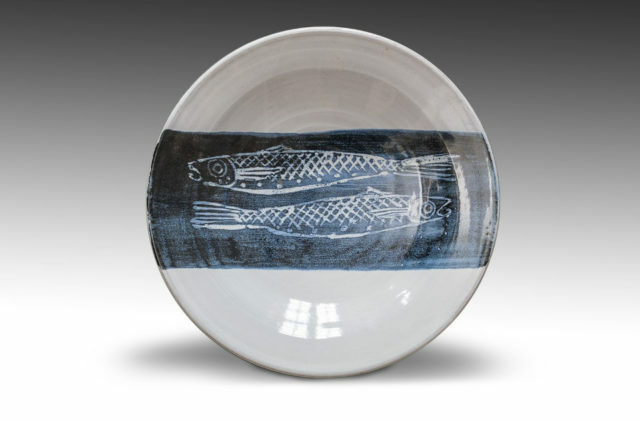 His exquisite ceramic works have been purchased for several museum collections, as well as Spanish fashion house, Loewe. 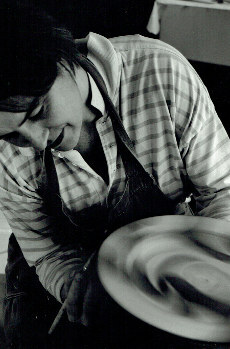 Jane Cox is a Fellow and former Council member of the Craft Potters Association (CPA) and a Brother and Trustee of the Art Workers Guild (AWG) and this year she is Master of The Art Workers Guild 2018 joining the ranks of renowned former Past Masters Rackham, Lethaby and William Morris. Her work features in the permanent collection of the Fitzwilliam Museum, Cambridge and the British Council permanent collection at Aberystwyth University, Wales. She has also exhibited The Victoria & Albert Museum, London Design Museum, Fortnum & Mason and exhibited in France, The Netherlands, USA and Japan. Jane’s work is collected for its striking surface pattern and bold use of colour. She specializes in earthenware combining slip decoration and sgraffitto with translucent glazes in three main colours: “Aquitaine” a rich vibrant turquoise, “Loire” a deep green, and “Carcassonne” a resplendent blue purple. 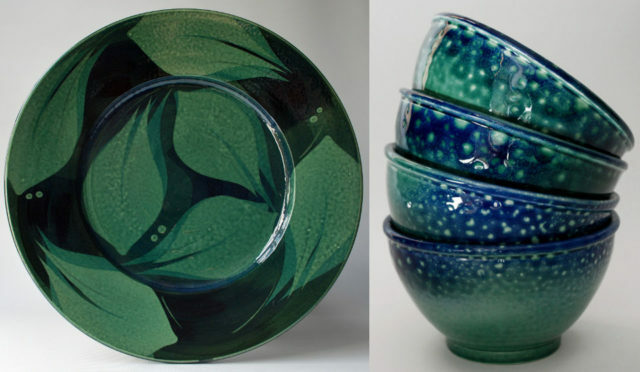 Recently she has been expanding her glaze colour palette to include new speckle glazes in blue/greens and green/blacks. These works are strongly inspired by the tactile shorelines of the Isle of Wight. Petra Lunenburg is a Dutch illustrator who recently relocated from Amsterdam to the English south coast. 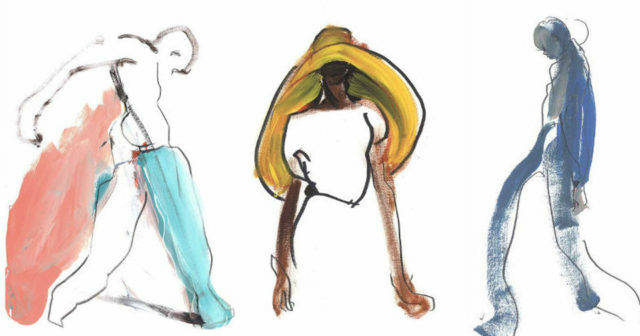 After her graduation at ARTEZ (Arnhem) fashion design she has been working as a freelance artist for clients in fashion, art and advertisement. Studying and teaching life drawing contributed to developing a style in which her lines are dynamic, projecting the essence of her subject. Layering a variety of media, ink, oil pencil, acrylic paint and gouache, her drawings show bold strokes as well as refined detailing. The type of women projected are personal and raw, unafraid of imperfections and female sexuality Lunenburg’s creatures radiate power but most of all …life. Amanda Wheeler says she’s relishing her own studio space in this creative haven, surrounded by the inspirational, beautiful coastline and talented friends. Her work is forever evolving, but primarily she paints semi-abstract coastal seascapes using acrylics and watercolours. Celia Wilkinson’s dramatic landscapes are as much psychological as actual scenes although they are undeniably of the area around Niton. 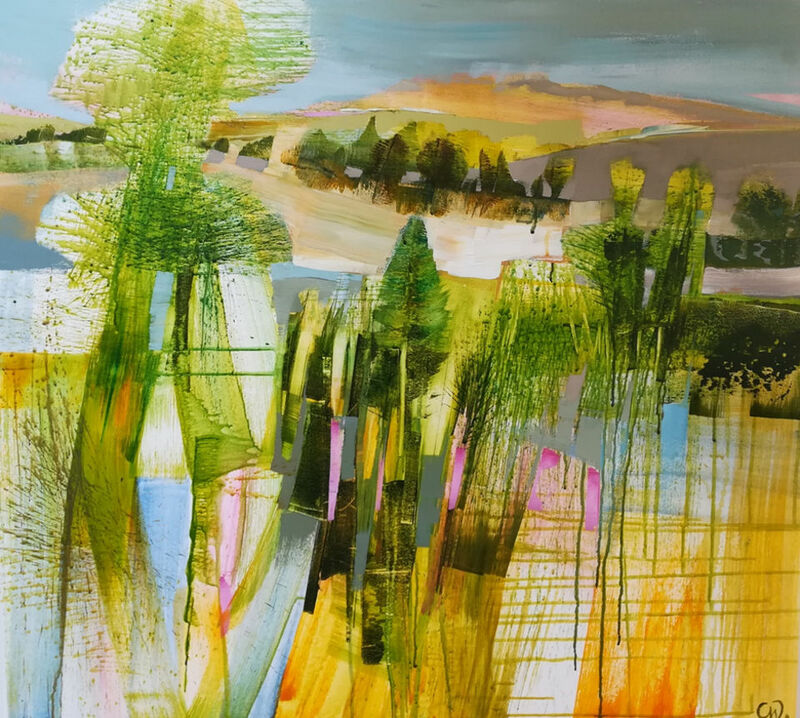 Celia is firmly in the tradition of the great British artists, Nash, Sutherland and Hitchens, but her paintings burst with vivid colour combinations and energy. The Summer Exhibition takes place on Saturday 25th, Sunday 26th and Monday 27th August 2017 – open daily between 11am – 4pm. If you are unfamiliar with St Lawrence, from Ventnor continue on the A3055 past Ventnor Botanic Garden until you reach Old Park Road (on your left) and then follow the signs for Binnel Studios. 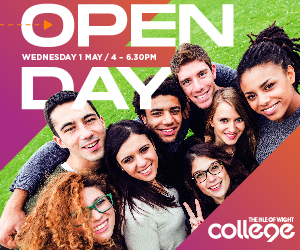 Entry is free, but don’t forget to visit the cash-point first, because you might just fall in love with what you see.